November and December abounds with holiday celebrations, but nothing can spoil good cheer like an emergency trip to the veterinary clinic. 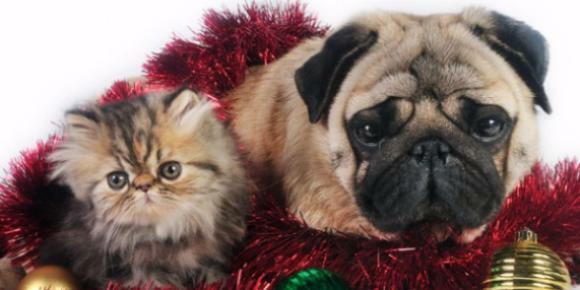 These tips can help keep your winter holiday season from becoming not-so-happy – for your pet and for you. Unplug decorations while you're not around. Cats, dogs and other pets are often tempted to chew electrical cords. Boarding your dog while you travel? Talk with your veterinarian to find out how best to protect your pet from canine flu and other contagious diseases, and to make sure your pet is up-to-date on vaccines. And don't forget, we offer boarding at our Westhampton Beach location! Call today to plan your pets boarding in advance at (631) 288-8535! Thank you to the American Veterinary Medical Foundation for the helpful article!